WASHINGTON, DC, June 20, 2013 (ENS) – Federal employees in national parks, wildlife refuges and marine sanctuaries experienced more attacks and threats in 2012 than in the previous year, according to agency figures obtained by Public Employees for Environmental Responsibility, PEER. Reported incidents rose more than 40 percent in wildlife refuges and in areas patrolled by the U.S. Park Police and by more than 12 percent in national parks, according to the nonprofit association of federal, state and local public employees. “The figures do not show any clear pattern reflecting liberalized loaded firearm rules in national parks and refuges which went into effect in 2010,” said PEER in its report. PEER has maintained a database of incidents against federal resource employees since the 1995 bombing of the Alfred P. Murrah Federal Building in Oklahoma City. The U.S. Justice Department stopped tracking assaults on federal employees back in 2002, after it persuaded Congress to repeal a reporting requirement for such incidents. “PEER has been extracting this data as a tool to persuade agency managers that assault against their own staff is a matter they should be studying and seeking to address,” said PEER Executive Director Jeff Ruch. In 2012, a Bureau of Land Management worker was shot at while driving a BLM vehicle in September. In a separate incident, a fleeing subject attempted to run over a U.S. Park Police officer with his car; and also last year a visitor center on a wildlife refuge received a note with profane racist remarks and a threat to burn the center down. The year 2013 began with the shooting death of Mount Rainier National Park law enforcement ranger Margaret Anderson on January 1, 2012 in Washington State. She was only was the ninth ranger killed in the line of duty since the National Park Service was founded in 1916. A park ranger was last killed in 2002, at Organ Pipe Cactus National Monument in Arizona, while chasing drug traffickers. “Unfortunately, violence and abuse directed against public servants is becoming more common,” said Ruch, noting that factors cited by employees include conflicts over resource protection policies, growing use of public lands for meth labs and marijuana plantations as well as deeper penetration of backcountry by off-road vehicles. “The one certainty is that these agencies will have less support to cope with increasing demands in the year ahead,” said Ruch, observing that the U.S. Park Police narrowly avoided furloughs of officers due to sequester cutbacks, which could be steeper in the next budget. The biggest annual jump in violent incidents in 2012 was seen by the U.S. Park Police which recorded 42.9 percent more assaults and threats than during 2011. 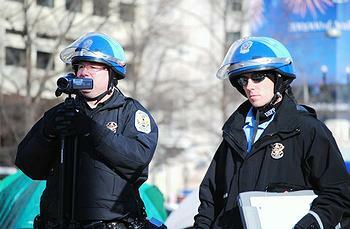 There were 100 violent incidents recorded by the Park Police in 2012, the highest number in its history. The Park Police are the oldest police agency in the United States. Created in 1791 by President George Washington, they work in San Francisco, Washington, DC, and New York City National Parks. National wildlife refuges operated by the U.S. Fish and Wildlife Service saw a similar percentage increase as the Park Police but with smaller totals. 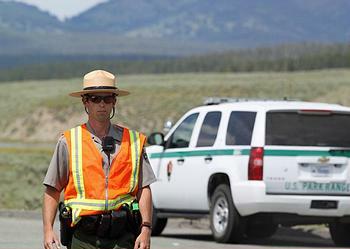 National parks experienced an increase in violent incidents of 12.9 percent. At the same time, the Bureau of Land Management registered a small drop in such cases of 4.3 percent. Marine sanctuaries run by the National Oceanic and Atmospheric Administration, NOAA, had a 25 percent increase in violent incidents in 2012. Meanwhile, new whistleblower protections for federal contract employees, including fisheries observers, take effect on July 1. These new statutory rights will shield observers from retaliation for reporting mismanagement and marine resource and safety violations, according to the Association for Professional Observers and PEER. Some 700 professional observers monitor commercial fisheries’ compliance with catch limits, by-catch rules and protections for marine mammals, seabirds and sea turtles, among other regulations. They are not federal employees but work for companies under contract with NOAA Fisheries, also known as the National Marine Fisheries Service. As contract employees, fisheries observers had no forum for redress of complaints and risked dismissal, blackballing or being assigned to “punishment voyages” for raising fleet violations, as detailed by a complaint filed by APO and PEER. In response to that complaint, NOAA Fisheries has agreed to develop a “formal communications process for observers’ concerns” as well as a “transparent observer tracking system” to monitor practices like blackballing observers from available fleet deployments by operators. The new whistleblower law will put teeth behind whatever administrative reforms NOAA Fisheries adopts. Enacted as part of National Defense Authorization Act for Fiscal Year 2013, the new law requires the Inspector General to investigate contract employee complaints of reprisal for disclosing violations of laws, rules or regulations, danger to public safety, gross mismanagement or waste of federal funds. “Assault, harassment, interference and bribery attempts are not an acceptable condition of being employed as an observer. These are federal and international violations of the law. These laws are intended to allow observers to collect unbiased biological data and specimens on board commercial vessels, processing plants and other monitored sampling platforms,” says the Association for Professional Observers on its website. NOAA Fisheries has also agreed to review its safety procedures, training and related policies in response to complaints from fisheries observers. To be completed by October, the review will cover the ability of observers to refuse a voyage for safety reasons, reporting drug use, access to equal accommodations, as well as creating a process for observer grievances. While agreeing to undertake a broad review, NOAA Fisheries did not concede that problems were widespread. However, PEER says the agency had a hard time convincing observers to share their experiences. Of 75 observers selected, only 12 consented to answer survey questions. Some of those answers were revealing. 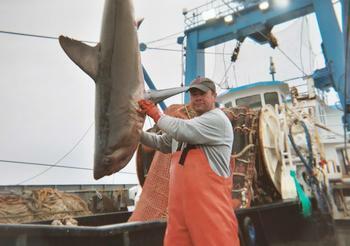 “Fisheries Observers who raise concerns soon find themselves out of work,” said Ruch, noting that NOAA Fisheries also is reviewing how reports of resource violations, such as shark-finning, fishing in closed areas, seabird shootings and marine pollution, are handled.